PUBG mobile game is increasing day by day and people are getting addicted to it, some of the users want to play PUBG Mobile on their PC that is why I am here with Tencent Gaming Buddy Download link and I will also tell you how to play pubg mobile on PC. 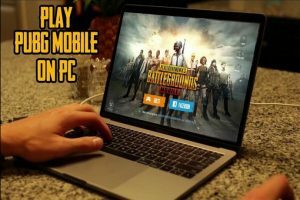 Play PUBG Mobile On PC [Download Tencent Gaming Buddy] – A Guide! Why People Play PUBG Mobile on PC? This Emulator is best infield, you can download Tencent gaming buddy emulator for free, and you will experience lag free PUBG Mobile on pc version. There is no need to use other Android emulators now you have the best option of PUBG mobile emulator that will offer you the greatest experience of real gameplay online. Just follow these simple steps and play PUBG with the best quality of gaming that you want. Across the gaming world, the craze of PUBG online game is undoubtedly on the rise. This challenging and unique game has become really popular among young people. The thrilling levels of survival make it truly an interesting game to play. The latest release of PUBG for mobile has made this game more demanded among people all over the world. Without the doubt, people are crazy to experience the thrill of this game on their mobile phones. Although, it is good to play on mobile the real battle experience is still awaited. This most played game entails the high-end desktop along with the decent graphics card. While the mobile form is created for low-end devices to get the smooth running experience on a smartphone. Players crave to get the real gameplay experience that PUBG offers. They strive to run PUBG mobile PC with the assistance of android emulators but due to some limitations, they don’t get what they want. Android and iOS users want to experience the actual battle of this game just like they get on their PC. To make the experience of this game more entertaining and genuine for players the creators of PUBG has recently launched PUBG mobile emulator for PC so that the players can get the exact experience of playing PUBG on their mobile version. This launch let the users enthrall the real gaming experience on their mobile phones readily. With the help of this guide you can easily download tencent gaming buddy emulator and will know how to play pubg mobile on pc. You can share it with your fellow friends so that they can also join you on the pubg mobile pc version.